The human resources ministry on Tuesday denied press reports that the government plans to restrict the distribution of hot meals to poor people over the holiday season, saying that it planned on expanding opportunities for such events. 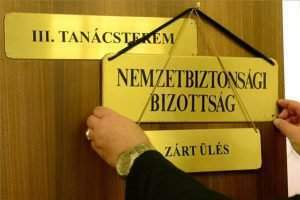 Citing press reports on Monday, the Hungarian Liberal Party said in a statement that “the government is planning to ban civil groups from distributing meals” to the poor. The human resources ministry said reports that the government was preparing to pass a decree tightening legal regulations on meal distribution, to allow only state, local government, and church-funded organisations to distribute hot meals, were incorrect. 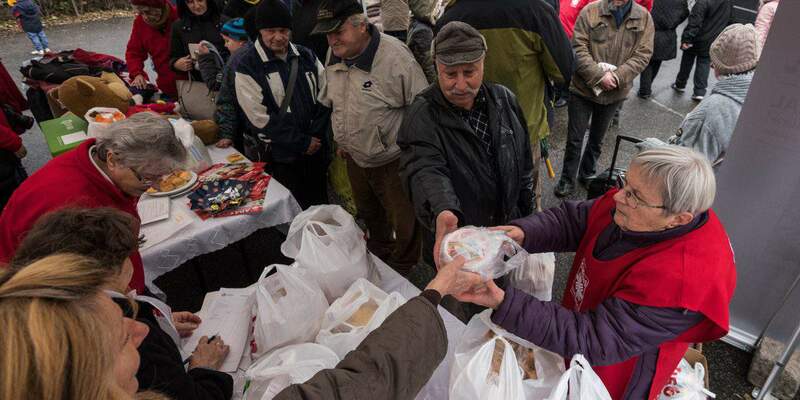 the government has earmarked “an unprecedented” 34 billion forints (EUR 109.2m) towards food distribution programmes for the homeless, elderly, the disabled and poor families with young children, the ministry said. It noted that in 2016, soup kitchens handed out an average of more than 85,000 meals a day. 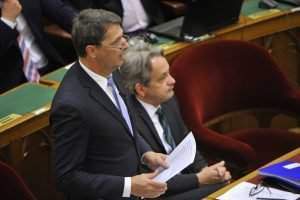 Under a 4 billion forint programme launched last December, some 4,000 homeless people will receive one hot meal every weekday over a period of four years, the ministry added. In addition, homeless people have access to soup kitchens at 86 locations, they said. 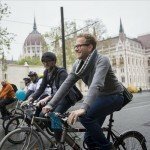 food distribution events were “silent protests” against the “mendacious government propaganda that claims that all is well in Hungary”. 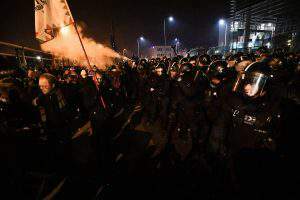 Last Thursday, the leftist opposition Democratic Coalition protested a proposal submitted to the Debrecen municipal council under which charity activities such as food distribution that are carried out in public spaces would be hit with a 35 forints per-square-metre fee. DK said it had submitted an amendment proposal aimed at scrapping the measure in question, but it was voted down by the city assembly.